Showing results for tags 'Polybag'. I was at LEGOLAND Florida yesterday and they were selling another Friends flower. Polybag 30408 is two tulips in a pot with a brick built bee. I usually see some polybag in January that I have a hard time finding later in the year. Long-time member, sometime speaker. I thought it was time to get more active in the AFOL community, so I've started a YouTube channel. The first batch of videos will consist of my reviews of the new Harry Potter sets and Collectable Minifigure Series. Please find the first video, a review of the polybag 30407: Harry's Journey to Hogwarts, below. I'll add more reviews as I make them. Apologies for the varying picture quality. It's my first try! And I'm thinking: I should probably include more close-ups of the actual LEGO next time... Still, I hope this proves useful and/or entertaining to you. Thanks! Rare New/Sealed Star Wars Sets (+ a few others) for Sale! Hey guys! Long time lurker/member, but have only recently started visiting the site again. Unfortunately, I've been hit with some unexpected expenses recently, so I'm selling off my sealed box collection I've amassed over the past few years. Without further ado, here's some pictures of what I have to sell (only sale at this point, no trades sorry): Rancor Pit (75005) = $85 Gungan Sub (9499) = $100 Republic Swamp Speeder (8091) = $35 UCS Naboo Starfighter (10026) = $650 Brickley (3300001) = $40 and Droids Battle Pack (7654) = $30 Brutaka (8734) = $100 Too many to list, ask for specifics! The Lego Store Grand Opening 2012 (140 out of 500 -- Nashville, TN) = negotiable and Monster Fighters promotional polybag (5000644-1) = $35 Feel free to PM me if you need another picture or clarification on anything, as some of the boxes do have wear on them or are bent/slightly scuffed; prices are negotiable! In most cases shipping is not included, though I'll never charge more than what it actually is and I'll combine if you buy multiple sets. A little info about me: live in the US (Alabama), no pets and don’t smoke, and have +22 positive feedback on the Straightshooter’s List (albeit that was from a couple years ago haha). I’d be willing to ship outside the US, but the buyer would have to pay for the extra shipping + insurance so I’d like to keep it local if possible. Thanks for looking! Hi today I'm reviewing the very nice and exclusive version of the famous Astromech Droid, R2-D2 in polybag 30611. Overview Name: 30611 R2-D2 Theme: Star Wars Year: 2017 Pieces: 70 Minifigures: One Brick Built Figure Price: Free from shop.LEGO.com and LEGO Brand Stores with qualifying LEGO Star Wars purchases, May 2017. This is the front and back for the polybag. You can see R2 is standing on the sand scene, maybe going different direction from C3PO after a little fight. At the back of the pack, you can peek through the translucent part and see the head of R2 hiding inside. Open the polybag and bring out my beloved R2-D2! I liked the design of the polybag art where you can feel the heat of the desert already. *C3PO and Jawa are not included in this set. They will be in pictures below for illustration purpose. The plastic bag material is quite fragile, so you need to be very gentle or else the whole thing will be thorn apart and you'll need to pick up the pieces scattered on the floor. The first thing I took out was the big head of R2. Inside you'll get a small bag of smaller parts, an instruction booklet, and other parts listed in the picture below. *C3PO and Jawa and small R2D2 are not included in this set. They will be in pictures below for illustration purpose. These are the parts included in the set. Quite a few technic pins and parts for articulation and curved top bricks for the body of R2-D2. Wake up R2, the Jawas are going to sell us or melt us! I prefer selling, at least we got a new master. Lets start building. The first step will have something like a post box as the main frame of the body. Then you will build the outer curve of the body fixed to the post box. Oh now you get a photocopy machine as the body. The jumpers are for the vents to be attached later on. C3PO is holding the bottom part of R2 that will hold its center leg. Now you'll build both R2's right and left legs and attached to the body via the technic pin. See how C3PO is so impatient that he asked me to put R2D2 together faster. These two are the printed parts in this set and I really love the dome shaped head! So nicely printed and it has a slight metallic feel of the silver colour. Here is the comparison between the brick built R2 head and the minifigure R2 head. The difference is that there is a stud on top of the smaller R2 and all other printings are quite the same. Tadaaa! Now we are completed the build of R2D2! The Jawas are taking them in their sandcrawler to seek for new buyers. These are the extra parts for this set. Just in case you lose one of these. As you can see in the picture, the brick built R2 will lean forward at a gradient as the center leg is longer than both right and left. Unlike the minifigures, this R2 cannot stand straight unless you remove the center part of the leg and the clip. However, I liked the fact that its head can be rotated 360 degrees, just like in the movies! *Light blue R2D2(10225) and dark blue R2D2(75136) are not included in this set. They will be in pictures below for illustration purpose. Now I've removed the center leg and you can pose it like others with any degree of inclination you want. I like it so much that he is so flexible! Oh no! The Jawas are catching us! Run faster R2! Haha, now who's laughing? Summary reviewPlayability: 8/10 You can rotate the head and make those beeping sound to make him alive. This is something that minifigure R2D2 can't do. This is the main reason to get this polybag.Design: 9/10 The printing of the dome shaped head is top notch and very nicely done. But I think the torso part can have more printing for more details. Price: 10/10 Its a free promotional item! Overall: 9/10 I love this polybag rather than having a minifig inside only. Astromech collectors must not miss this set as it is a great addition to those cute little droids parade. Conclusion This polybag is very nice to be collected if you are a Star Wars fan. The built is very accurate instead of bulky feel. It has a very sleek design and very detailed in this size. Now I hope there is a brick built C3PO to be his partner. Thanks for reading! Hi all, Posted this in the The Lego Batman Movie thread, but for those of you in the UK who may not have seen it the Kiss Kiss keychain polybag 5004928 is currently £2.99 at Argos and they seem to have an absolute load of stock. Happy shopping! The most famous R2 unit from Industrial Automaton: The title say "MOD" because both the dome and front panel are indentical to stock 30611 - the rest is all new. When I started this, my goal was to simply replace the legs - they were the weakest part of the original set - and it snowballed from there. The middle foot is now retractable and extendable because of the Technic T-piece. A frontal shot with middle leg retracted. The binocs mimic the cabling R2D2 has at the bottom of the side "feet". Back view with leg collapsed - due to space constraints, there's no back "cover", but the retracted leg mimics the port that R2 has in that are quite well, I think. Thanks for watching. Hi everyone, I'm RKastar from Hong Kong, this is my first review post on Eurobricks. Here come the speed build review video of another LEGO Batman Movie Polybag - 5004929 Batman Battle Pod. It includes 24 pieces and 1 mini figure. The first 200 customers who purchase HKD1,200 (~USD150) at Toys'r'us Hong Kong can get this set. This is a interesting polybag because it includes a "Pod". Check out the video below and you will find out what inside the pod. You can also check my Youtube Channel The Next Brick Thing for more upcoming videos. Hi all, I've got 2no 30522 Lego Batman Movie polybags for sale. This is the Batman in the Phantom Zone polybag. Asking for £5 each and will include free 1st class postage to UK addresses only. Cheers, Dean EDIT: Now both sold, apologies for the short life span! Mods - can you lock this please? I'd like to start this review with an apology. I promised to write this review a few weeks ago, but thanks to some Real Life stuff, I had to delay it. But now I've got some time, and I'll make good use of it. Similiar to the Mini Fortrex we got in Nexo Knight's first year as a freebie, LEGO offers currently a miniature version of the Headquarters (or Jestro's Monstrous Monster Mobile, to literally translate the German name which I frankly adore because it gets shortened as "MoMoMo"), the biggest set of the current Nexo Knight wave. But how well does this set fare compared to its monstrous inspiration? Let's find out! Set number & name: 30378 Shrunken Headquarters Price: This set is currently free, but can only be obtained along with another Nexo Knights set Parts: 44 parts and 1 minifig (according to BrickLink) Release: Late 2016/Early 2017 The bag The front of the bag shows us the set and its pilot, a regular Stone Stomper. I'd like to mention that I generally like the visuals of the background used for this wave. All these blueish ruins give off a very eery and spooky vibe, which fits nicely with the bad guys (while the heroic knights provide some nice contrast). The bag is naturally nowhere as interesting. Well anyway, let's open the bag! The parts Here's the parts overview of the set. Since I'm not really willing to count the parts myself (which I used to do in my reviews of the constraction sets), I cheated and checked BrickLink. According to them, the Shrunken Headquarter contains a total of 44 parts. It's kinda surprising to me that the amount of purple and dark stone grey (the two colours which make most of the color scheme of the baddies) is so short in this set. The building instructions are a folded poster, which is quite common for small sets like this one. Pieces of interest The supposed action feature of the Shrunken Headquarters is a catapult. I'm not sure how old this piece is (EDIT: It debuted in 2010's Kingdoms line), but here's a picture of it for the little catapult enthusiast in all of us. This little TECHNIC-esque piece on the other hand is familiar to me, as it was also used in various G2 Bionicle sets (it might even have debuted in them?). It's a pretty cool-looking part, and I'm happy to get it now in black too. Another nice bonus: The Shrunken Headquarters comes with a total of three of these, but one of them is a spare part, so even if you kept the set built, you'll get one of these connectors for your parts collection. This brick is part of the catapult, and it's a rather exotic piece (at least for me...). Oh hey, a Mixel Ball joint! Correct me if I'm wrong on this, but could the Shrunken Headquartes be the first set to use one of those in a vehicle, just like how the older plates with balls were already used for decades? Either way, it's a pleasant surprise, considering that I actively collect these joints, what with being a constraction nerd. I generally like 1x2 plates in this style, I think the first time I spotted this variant was in the Mini Snowspeeder. The Shrunken Headquarters uses two of these to connect to steam roller-like front section. The Minifig Instead of featuring a specific character like Jestro (similiar to how the Mini Fortrex was piloted by Robin), the Shrunken Headquarters is piloted by a Stone Stomper, which are apparently the lowest-ranking mooks of Jestro's new army. As this picture shows, Stone Stompers are Gargoyle-like humanoids. A front and back view of the figure itself. As you can see, the Stone Stomper got overall some nice printing. He also comes with an alternative facial expression, so it's up to you if the Stone Stomper sports a evil grin or a more aggressive expression. Here's a comparison with one of the mooks of the past wave (my apologies for not knowing his title though). Given the versatility of the color black, the Stone Stomper looks good if you swap the gear around, while the combination of bright red and purple is kinda odd. Building the set The build of the Shrunken Headquarters is rather simple and straight-forward, starting with the front section, followed by the back section, and once both sections are completed, they get united. I think I can let the pictures speak for the most part here. This picture shows you how the roller in the front is assembled. The instructions themselves of course expect you to first assemble the roller completely before you attach it to the vehicle, so I kinda cheated the instructions here to give you a better insight of how it is built. The front section, completed! Now we also got the back section done, so once we've combined both, we get... The finished set Behold, the evil Miniature Monster Mobile (MiMoMo)! Oh right, spare parts. Design and playability As the name implies, the Shrunken Headquarters is based on Jestro's Headquarters, the larges set of this wave. It comes probably to nobody's surprise that a polybag set doesn't emulate every play feature of it's bigger brother, but I think the set does manage to evoke the shape of the MoMoMo. One feature I like about it is how you can alter the height of the front roller. Since I don't own Jestro's Headquarters, I'm not certain if this feature is inspired by a similiar trick of it or not, but it's still a cute little feature. The set's other play feature, the catapult, leaves something to be desired though. Not only is the Stone Stomper in the way of the catapult, the bricks you can fling with it also fly in a rather low arc, and thus, not very far. So good luck hitting anything besides a miniature town with it. Of course, as a miniature set, the Shrunken Headquarters may not be really up to challenge the Nexo Knights - or at least not their Action Suits... ...except for other polybags I guess. While I would have loved to show the Shrunken Headquarters next to the Mini Fortrex, I unfortunately don't own this set, so I went with another polybag instead. Final thoughts Truth be told, I was initially not really interested in this set, mostly because another polybag which popped up around the same time in the Nexo Knights 2017 thread, looked far more appealing to me. However, once I opened the bag and built the set, the Shrunken Headquarters managed to win me over, as the set still has a rather neat design and comes with plenty of unique parts that will be very great for my parts collection. So if you want buy some Nexo Knights in the foreseeable future, make sure to also get this polybag with it. It's a neat little set that I can recommend. I picked up the polybag "30279 Kylo Ren's Command Shuttle" at Target the other day, and couldn't resist making a few mods! My goal was to create movable wings that looked good in both upright and angled positions without substantially adding bulk to the model. The end result is highly swooshable. In addition to the redesigned body, I swapped out the light bley parts and whipped up a little stand. (The "ramp" was an OK play feature, but I've dispensed with it here.) Note that only two of the four 1x2 hinge plates actually connect to the body; the other two are just there for shaping and stability, with 1x1 round tiles between the fingers. Bought some LEGO Ninjago Anacondrai Battle Mech polybag 30291 polybags since they went on sale in our area. I thought they would make good battle mechs for my Goblin minifigures. When I did a straight up build I was put off by the purple parts so I decided to modify the build and made 2 variations: Calling this the "Bobcat" Calling this the...uhmmm... "Chicken" I have another polybag but I could not think of another design. Any of you here got any alternate builds for this poly? Thanks. http://brickset.com/article/17398/new-the-force-awakens-polybags-discovered If you look at the bottom left of the Finn polybag you can see a code in the exact same style as the Plastic Man Polybag, which was used to unlock the character early on in the game. 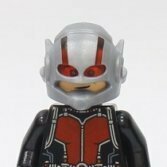 http://brickset.com/sets/5004081-1/Plastic-Man HYPE!!!!!. Now that all of my Lake-town Guard polybags are gone, I have a new updated list of things for sale/trade and things I am looking for. I am currently looking for: Uruk-hai Undead Soldiers (from Pirate Ship Ambush) Pirates of Umbar/Corsairs (from Pirate Ship Ambush) Mordor Orcs (any kind will do, hair or bald) Moria Orcs Orc Hunters (ponytail version from Lake-town Attack Complete Witch King Battle For trade I have: Hulk bigfig (tan pants) Green Goblin bigfig 3x Rancor 3x Wampa Tantaun Newer Jabba the Hutt Older Jabba the Hutt Rotta 4x 1x bigfig tan Troll (from Fantasy Era) The Lonely Mountain (no minifigures or Smaug, just the bricks.. great for getting pearl gold and sand green pieces cheap (less than 7 cents per piece)) Some of the stuff I have for trade is new and still sealed in the plastic baggies (Rancor and Trolls). I am also willing to sell anything I have for trade, just make me an offer. Thanks for reading. Hey all, this is a review of the upcoming LEGO Elves Azari's Magic Fire Polybag. This is a promotional polybag given to anyone to purchase the LEGO Elves set in March 2015 on Shop@ Home. I was able to find it in Toys R Us Canada oddly enough (not on shelves but the cashier had a cart with a bunch of them). It only has 27 pieces and the minifigure is slimmer than the regular minifigures but lacks mobility in the legs. Full Review: http://brickpreviews.com/lego-elves-30259-azaris-magic-fire-polybag-review/ Here are some pictures If you like the Elves theme you are in luck as I will be posting review of a bunch of the sets in the next few days! Name: City 30313 Garbage Truck Theme: LEGO System / City Year: 2015 Pieces: 48 Minifigs: 1 minifigure Price: USD $3.49 I picked up this new polybag in the Easter section at Target. The parts. Front end could use a bit more detail, but a nice little utility vehicle vehicle. The extras, not much but the black arm is a nice piece. Playability: 7/10 For a $3.49 set its not bad with the trash and shovel and cans to put them in. Design: 8/10 Its a polybag, but the little mechanism for the cans is nice. Could use some sort of front fairing. In general this stood out to me more than some of the recent City polybags. Reminds me of a John Deere Gator type vehicle. Price: 7/10 Average price per piece, nice printing on minifig but nothing new. Minifigure: 6/10 Pretty typical blue collar worker type figure. Seems like a lot of these guys have facial hair in the LEGO world. Parts: 7/10 The trash cans are moderately valuable, the arms with hooks are always useful, and the oldschool car base is not found in too many sets these days. Total: 35/50 A pretty average set but would make a nice addition to a park scene. Will be watching to get a couple more cheap if they make it to 50% off the day after Easter. Darth Revan, probably one of the most (if not THE most) famous and beloved characters in the Star Wars Expanded Universe. For those of you who are not familiar with the EU, Revan first appeared in the hit role-playing video game Knights of the Old Republic (KotOR) released in 2003. Acclaimed by both the critics and the fans, KotOR is still to this day considered as one of the best Star Wars video games ever made. Unfortunately it is quite difficult to talk about this character without revealing too many spoilers, so let's just say Revan and his friend Alek were Jedi and war heroes during the Mandalorian Wars (between 3976 and 3964 before the Battle of Yavin). After the defeat of the Mandalorians during the Battle of Malachor V, Revan and Alek pursued the surviving enemy vessels into the unknown regions of the galaxy and disappeared. When they came back a year later, they were leading the forces of the Sith Empire as Darth Revan and Darth Malak... If you want to know more about this character, I suggest you watch this video (watch out, it contains spoilers) or simply play the game... Following the 2013 Hoth Han Solo minifig, this year's May the 4th promotional polybag is most definitely a great and surprising choice from LEGO. Basic Information • Set name: Darth Revan • Set number: 5002123 • Ages: 6+ • Number of pieces: 7 • Minifigs: 1 • Theme: Star Wars / Expanded Universe (EU) • Price: Free (offered as part of the "May the 4th" promotion with every LEGO Star Wars purchase of at least 55€/75$ between 28/04 and 04/05/14) • Year released: 2014 The Review The polybag Let's first take a look at the polybag itself. The front features the same logo design as the regular 2014 movie sets. If I'm not mistaken, the background in front of which Revan appears is based on the corridors of the Invisible Hand, the separatist command ship from Episode III. There isn't much to see on the back aside from some multilingual words of caution and a picture of the minifig's actual size. Unlike some of the older polybags, the back isn't translucent, which makes it impossible to see any of the pieces it contains. 1 par Elrond Half-elven, sur Flickr Here it is now compared to an older polybag. As you can see, Revan's bag is slightly bigger although the difference is barely noticeable. However, due to the small amount of pieces it contains, the polybag does look quite large and feels a little empty. 2 par Elrond Half-elven, sur Flickr The minifig The bag only contains 7 pieces. Unlike those found in bigger sets, the cape is not protected by the usual little cardboard box. As you also probably have noticed, the parts are made of Chinese plastic (which is pretty much the norm now for the polybags). The minifigs comes with one single accessory: a regular red lightsaber with a silver hilt. 3 par Elrond Half-elven, sur Flickr There is no printing on the back of the head (which is normal since Revan never reveals his face) but there's also no backprinting on the minifigure's torso. Even though some details on the back would have been nice, I suppose it is not really a big deal considering he always wears a cape. 4 par Elrond Half-elven, sur Flickr And here's a nice look at the complete minifigure in all its glory... Revan definitely looks better in person than on all the other pics I've seen. The details on his torso look fantastic. 5 par Elrond Half-elven, sur Flickr 6 par Elrond Half-elven, sur Flickr The fallen Jedi next to other Sith lords of the Old Republic era. Definitely a nice addition to any EU/KotOR/TOR fan's collection. 7 par Elrond Half-elven, sur Flickr And errr... well this is for those of you who always wondered what's behind the mask... 8 par Elrond Half-elven, sur Flickr 9 par Elrond Half-elven, sur Flickr Ratings Let's admit it, rating this polybag isn't easy. You can't really evaluate the quality of the build or its price. 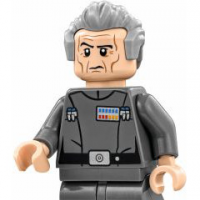 I also imagine your opinion on this minifigure will probably depend on whether or not you enjoy the EU, and more precisely the Old Republic era. If you don't, I can understand why you can't find anything exciting about this figure, unless you plan on using some of the parts for a MOC minifig... or unless you want to sell it. For those of us who do enjoy it however, this exclusive minifig appears as a unique opportunity to get a LEGO representation of a fan-favourite character. This is probably the only chance we'll have to get a Darth Revan minifigure (unless Disney decides to adapt KotOR at some point but for now this seems rather unlikely) and I believe those who like the character should seize that opportunity. The minifig is nothing special as far as parts are concerned. It doesn't have any special or new fancy armour piece like Malgus but it still looks great nonetheless. I'd give it a 8/10, the only real disappointment being the lack of backprinting.